the Late Bronze and Iron Ages. 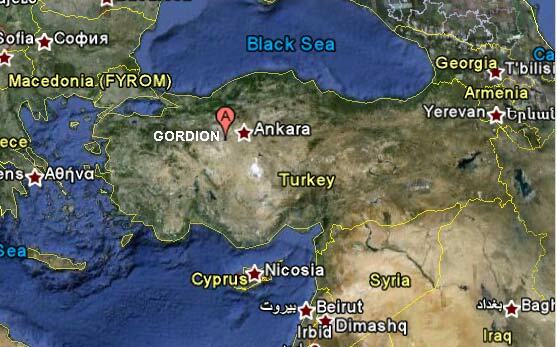 Gordion is one of the key sites in central Anatolia which premiers a royal center from the Iron Age Phrygian period and features a monumental 9th century B.C.E. Early Phrygian Gate structure along with the remains of a once impressive Terrace Building complex and stately Megaron buildings. Although the site today is more prominently associated with the reign of King Midas, who led the Phrygian Empire to its zenith at the end of the 8th century, its continuous occupation for over 3,000 years in addition to ongoing archaeological excavations and research since the 1950s have made Gordion a unique and rich repository for scholars, visitors, and students alike. As an archaeological site of unparalleled significance, The Architectural Conservation Laboratory of the University of Pennsylvania has joined with Penn’s Museum of Archaeology and Anthropology to direct the conservation of the site for future research and visitation. Over 50 years of excavation and natural weathering have left the site in a fragile and illegible condition. 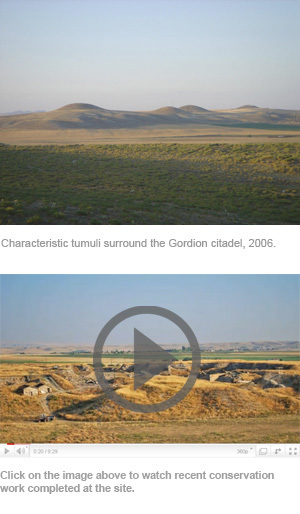 The monumental Citadel Gate, the most complete to survive from the Iron Age in the Middle East, is particularly vulnerable to seismic activity in the region.